← Lion, hear me roar! 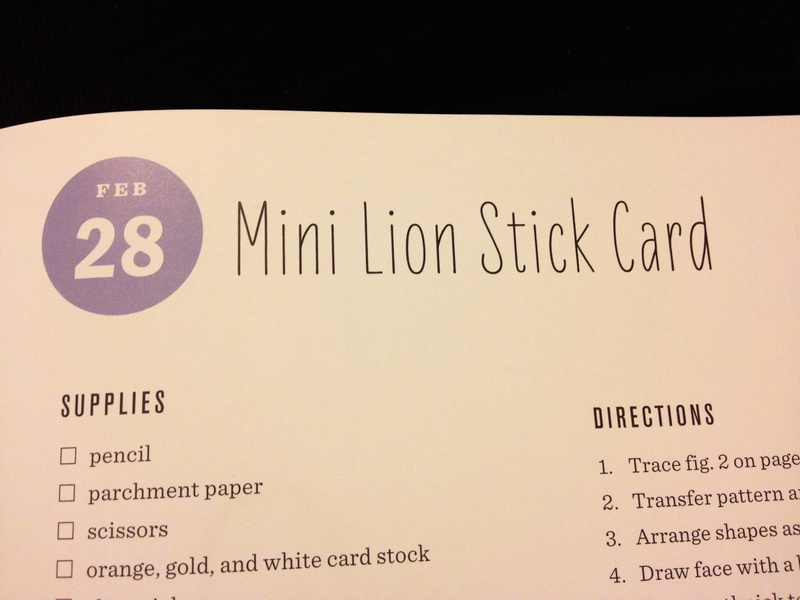 Tonight I made another lion card. 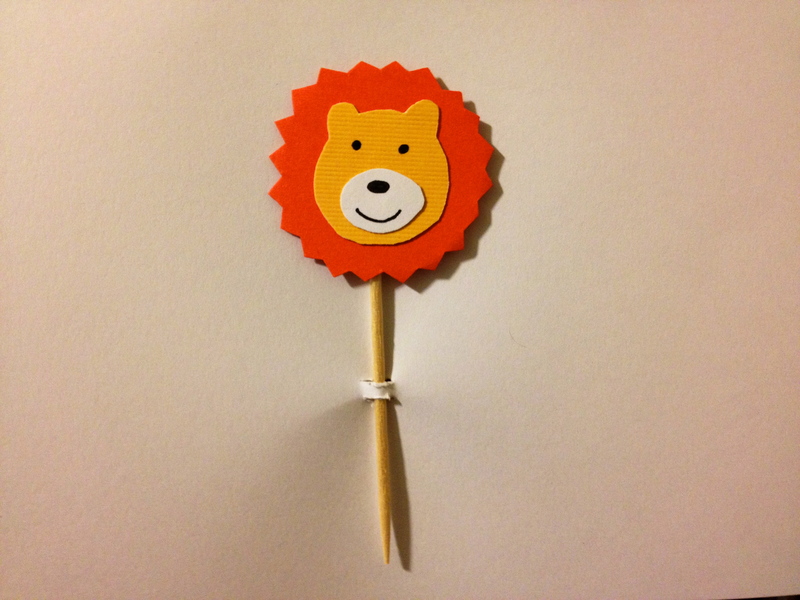 This one uses the clever and interactive idea of putting the lion on a toothpick – so you can take it off the card and use it for something else. Maybe stick the lion in a cake? 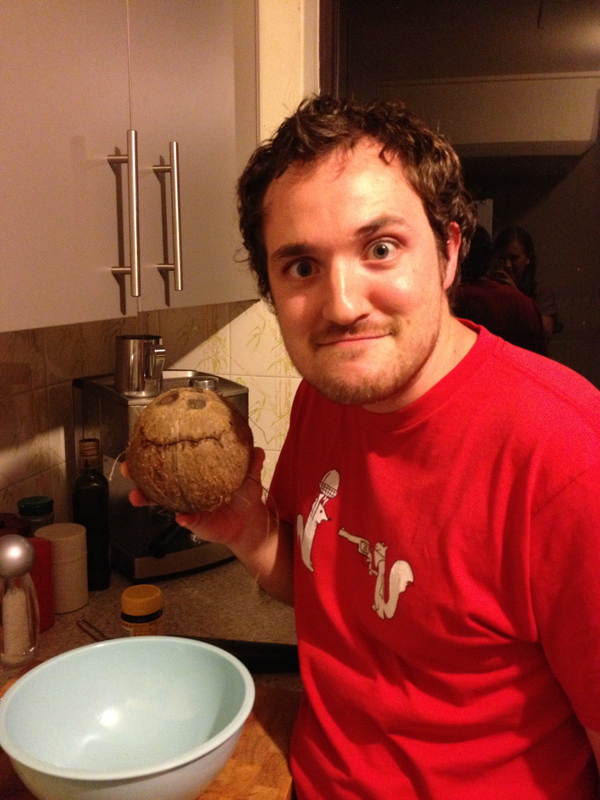 On another and completely un-related note, Anthony and I bought a fresh coconut. And for months I was dreaming about eating it because I was playing a lot of ‘fruit ninja’… I’m easily influenced by advertising or anything visual (if that helps to explain the connection in my mind). Anthony cracked it open using the pestle of our ‘mortar and pestle’. And we sat and watched Survivor while eating coconut. what a clever cracker! I gave two people from work a lift home (one is the same age as Anthony and lives in Yarrawarrah – Mark Robinson) and then atched the end of MKR, and then hit the computer to um, ah, ha hum, study! That lion is pretty funky! It looks so simple yet so perfect. Nicely done CB! Argh!!! 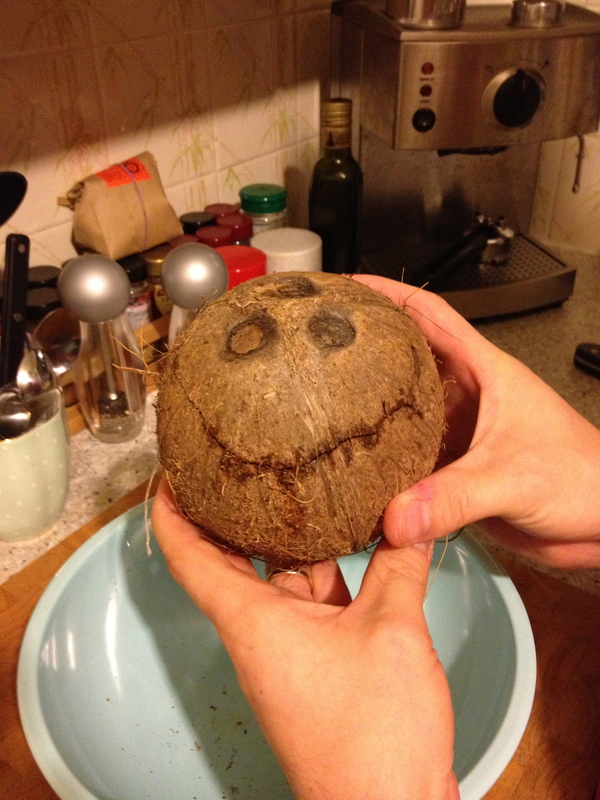 That coconut has a face!!! I stayed at Andree’s and her roommate gave me free clothes! Awesome night. The lion is very cute!!! It has a face AND it is drooling! Hahaha!